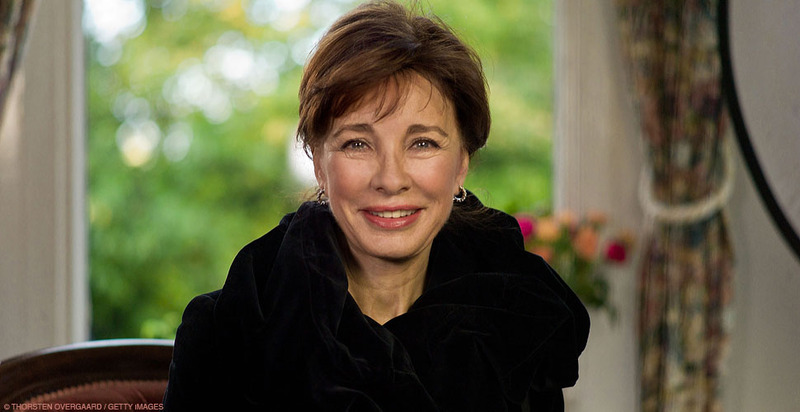 leica.overgaard.dk - Thorsten Overgaard's Leica Pages - The Story Behind That Picture 63 - "Photographing Anne Archer"
The story behind that picture: "Photographing Anne Archer"
About a year ago I had the honor to photograph Anne Archer. If I say Rules of Engagement, Fatal Attraction, Clear and Present Danger, Patriot Games and Body of Evidence, we all feel she has visited us at home a few times. Somehow you wouldn't be surprised if she showed up with Harrison Ford. The have been husband and wife in so many movies it's almost as if they were married in real life. But she came alone to this shoot. We were doing a video and photograph in a private villa outside London and a small crew and I set up the light in a good hour before she would arrive. We brought a few small film lights and blue filters to make the color of the light the same color temperature as the outside light. Star quality - puts a communication all the way to the audience. I've talked about being photogenic before in relation to portraits. You never really can predict if someone will look better in photos than in real life, and some times you may be surprised how a really good looking person don't transform into a great looking person in a photo. Hence being photogenic is not always a given thing. Now, a different league is people with star quality. Those are people who just radiate in images and on the big screen, it's several steps above being photogenic. Naturally, they are often stars. And the interesting thing about those with real start quality is that you often don't experience it as strong when you work with them as when you see the result. It can be quite mindblowing to edit pictures of people like Anne Archer, because it's often like they have an unseen conversation with the camera. I have often wondered what defines being photogenic and what defines having star quality. And I haven't found an answer yet that would always be right and always explain everything. Though in star quality it seem to be also a purpose to perform not just in front of a camera, but a will and talent to put that beingness all the way to the viewer and audience. A star doesn't just pose in front of the camera but puts a communication all the way to the audience. Anne Archer visiting the East Grinstead Museum. Leica M9 with 50mm Summicron-M f/2.0. 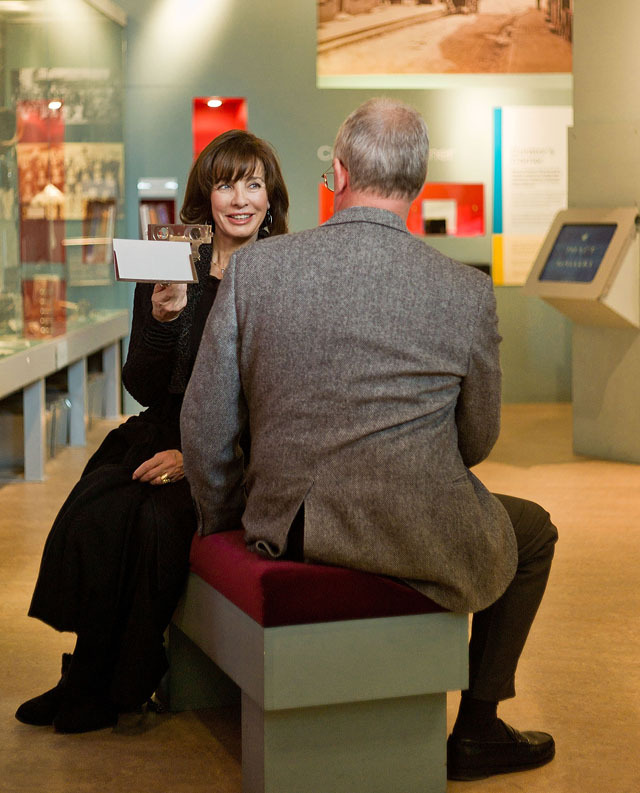 The reason for the video and the photographs was that Anne Archer was presenting 50,000£ to charities on behalf of the L. Ron Hubbard Foundation, amongst them the East Grinstead Museum which we visited for a private tour and photo shoot. The museum got a grant to exhibit the pioneering work of the visionary plastic surgeon, Sir Archibald McIndoe in East Grinstead who worked with burn victims of the Royal Air Force during World War II. For the shoot we were using one Diva Lite with a piece of silk in front of them ("Flozier Diffuser") to the left of the face, and then two 300W ARRI tungsten lights: One from behind the camera and one from behind the face. All lamps with blue gel to cool down the 3200K Tungsten light to daylight. The Leica M9 with 90mm Summarit-M f/2.5 was at 800 ISO at 1/125 and manual white balance setting. After the photo shoot we did a video and thus the images were ready for approval on the comptuer when we were done with the video. I have the experience that video is often done first, and then the stills will be secondary and the person may be in a rush to get out the door to the next thing. So some time ago I started doing stills first as a warm-up for the video, and that works really well (you may make a note). 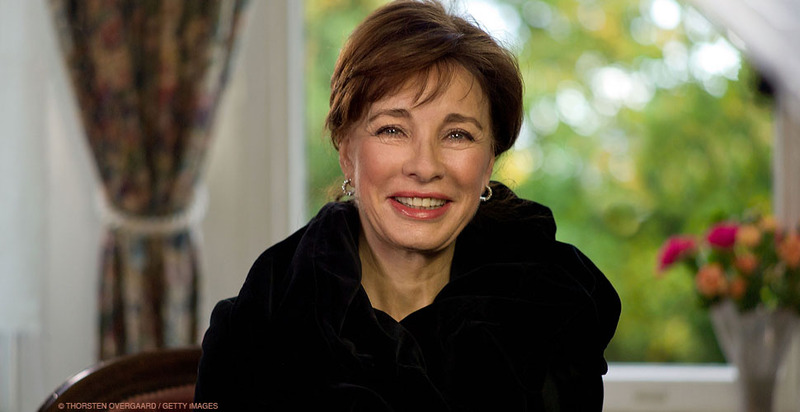 Fatal Attraction: Acedemy Award nominated actress Anne Archer portrait session in London. Leica M9 with Leica 90mm Summarit-M f/2.5.